All our till rolls are manufactured using only the best quality paper, this includes our thermal rolls and credit card rolls. During our years of experience in the cash register and EPOS business we have seen many tills rendered useless from the use of low grade paper. The problem with low grade cash register paper, or non Grade A till rolls, is that dust comes off the paper. The paper dust builds up and eventually causes the printer to jam rendering your cash register useless. Protect your cash register and use only Grade A till rolls from Tillfood. 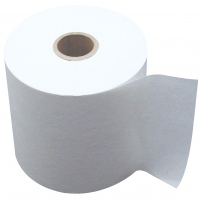 Tillfood also supplies thermal rolls for printers used in restaurants and kitchens. These wider thermal rolls are not suitable for thermal cash registers. Remember the more you buy from Tillfood the more you save. Our discount pricing saves you money on till rolls, thermal paper rolls and cash register rolls! 57mm x 40mm Thermal Paper Rolls. Supplied in a box of 20. Suitable for a variety of credit card machines. Our 57mm x 40mm rolls are manufactured using EPSON approved thermal paper. Our 57mm x 40mm thermal paper is not only excellent quality but also great value. Remember we deliver all 57mm x 40mm thermal rolls FREE to any U.K. mainland address! No hidden extras or postage charges! So order now and save. 57mm x 38mm Thermal Paper Rolls. Supplied in a box of 20. Suitable for a variety of credit card machines. Our 57mm x 38mm rolls are manufactured using EPSON approved thermal paper. Our 57mm x 38mm thermal paper is not only excellent quality but also great value. Remember we deliver all 57mm x 38mm thermal rolls FREE to any U.K. mainland address! No hidden extras or postage charges! So order now and save. 57mm x 30mm Thermal Paper Rolls. Supplied in a box of 20. Suitable for a variety of credit card machines. Our 57mm x 30mm rolls are manufactured using EPSON approved thermal paper. Our 57mm x 30mm thermal paper is not only excellent quality but also great value. Remember we deliver all 57mm x 30mm thermal rolls FREE to any U.K. mainland address! No hidden extras or postage charges! So order now and save.